As experts in geotechnics we are retained by Local Authority Planning Regulators to support their planning officers in evaluating the safety and buildability of basement development proposals that are submitted for planning approval. This service includes representation at public planning meetings and appeal hearings. 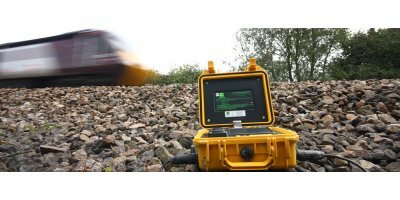 By LBH WEMBLEY Geotechnical & Environmental based in Buckingham, UNITED KINGDOM. By SolData based in Nanterre Cedex, FRANCE. Vibration is defined as the transmission of energy through the medium of ground or air resulting in small movements of the transmitting medium, such as a building, which can cause discomfort or even damage to structures if the movements are large enough. 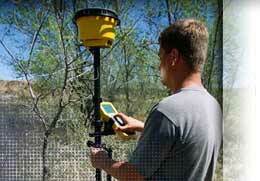 Electrical resistivity tomography ERT is also known as resistivity imaging. This method is combination of electrical sounding and profiling because surveys are done along the profile and with increasing depth of investigation. Raba Kistner Consultants’ (RKCI) objective is to protect people and property against damage from geologic conditions. Determining a solution to geologic issues confronting clients begins with an engineering geology study. By Uni assist Ltd based in Orton Southgate, UNITED KINGDOM. By Oxford Hydrotechnics Ltd. based in Oxon, UNITED KINGDOM. By Dewhurst Group, LLC based in Germantown, MARYLAND (USA). By Iteris, Inc. based in Santa Ana, CALIFORNIA (USA). By Terrapex Environmental Ltd. based in Toronto, ONTARIO (CANADA). If your property is located in the countryside you may have a sewage treatment plant that will require periodic maintenance and servicing. At Mantair we have a dedicated maintenance department providing a ‘one-stop’ service for the repair and servicing of sewage treatment plants and Mantair septic tank conversion units. The structures team undertake the investigation of defects to a wide variety of structures including: Brick, Concrete, Steel framed buildings, Timber framed, Masonry structures. We use geographical technology creatively to understand, manage and share ideas about the built and natural world.We use geographic information systems (GIS) technology to visualise, manage, analyse and collate data based on any location.